What do Lentils Taste Like? What Should I Expect? I bet that your priority this year is to focus on your health. Eating the right kind of food is of course on your checklist. No wonder you kept on asking what do lentils taste like. Do you want to try it? The taste might be different from what you expect, but I highly recommend starting to consider lentils in your diet. The legume is high in protein and fiber content. This is the reason why health-conscious people like you eat it regularly. Do you think lentil would become your family’s favorite? Do you recognize a lentil when you see one? Why are lentils healthy to eat? Do you know how to make lentils taste more delicious? Lentil is a popular legume that people eat way, way, back in time. It belongs to the very first crops that our ancestors discovered that are edible. Lentil seeds look like the lens in shape with various color of yellow, green, black, brown, and red-orange. It comes from the bushy and self-pollinating lentil plant that is around 40 cm tall where the seeds mature in pods. It took me a while to familiarize myself with lentil seeds since they may come out either mottled or speckled. The size of the seed is .5 cm in diameter. Do you know that lentil seeds taste different with each color? The brown lentils for one have a slight earthy taste. You will find this type often in your local market, so I am sure that this is the first one to try. If you choose the darkest kind of color (and the smallest), you will savor a more profound and richer earthy zest. Farmers call it Beluga lentils. Use the legumes for broths, stews, meatloaf, burgers, and garnishes. You can try serving it with pasta and your favorite grains as well. Green lentils, on the other hand, have a hot savor that resembles the taste of mild pepper. However, it depends on how tolerant you are with peppery food; otherwise, you might describe it as robust in its spiciness. If your recipe requires longer cooking time, I suggest using this kind since it can withstand and stay firm even when in the heat for almost an hour. You will notice that the peppery aroma when the soup starts to boil. This lentil type is also excellent for side dish recipes and salads. Meanwhile, if you crave for sweet lentils, look for the red kind. The red lentils have three (3) kinds. The red, gold and orange colors belong under the red lentil category. They do not only taste sweet, but I like the nutty tang it gives as well. Remember that you can cook red lentils in less than half an hour to prevent overcooking. 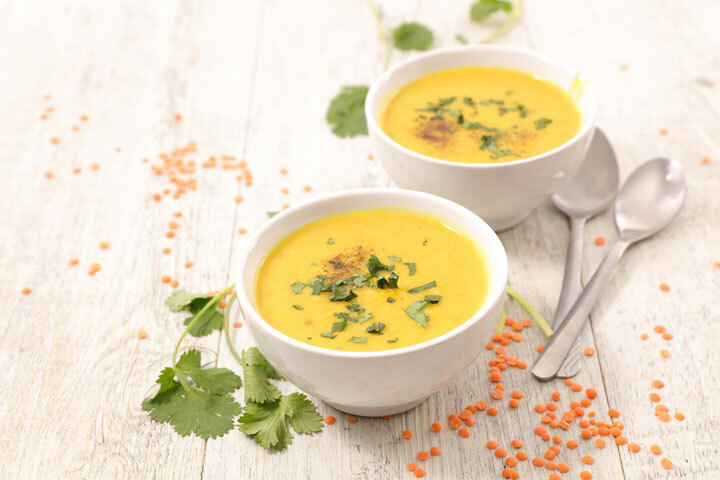 Check out some Indian and Middle Eastern dishes and discover the many recipes using red lentils to spice up the taste or thicken the soup. 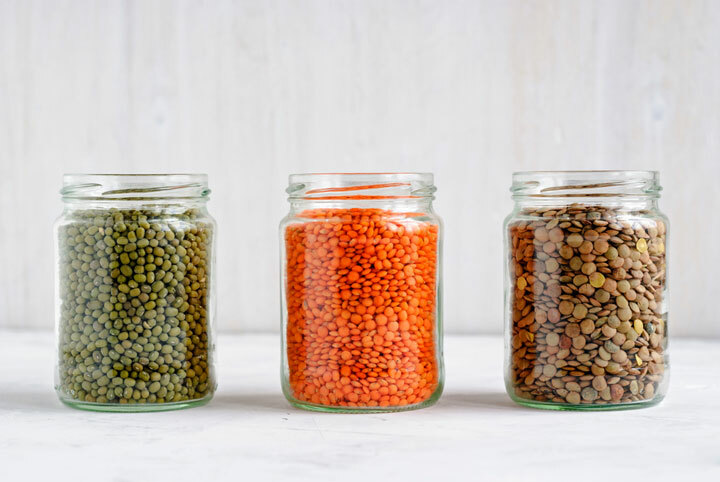 As one of the super foods, lentil is by far one of those legumes who offer plenty of health benefits. 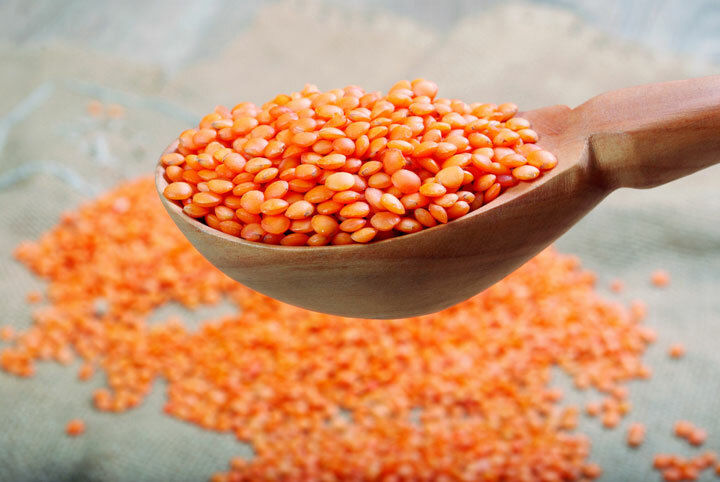 Whatever the color is, lentil is high in protein, fiber, essential vitamins, and minerals. Include this in your diet and reap the advantages. Because this is rich in fiber (soluble and insoluble), this is a perfect diet good for your digestive system. It helps you with regular bowel movement and prevents colon, breast, and throat cancer. One (1) cup of cooked lentils is equivalent of 16 grams of dietary fiber. Each cup will cover 63% of the dietary fiber that you need daily as an adult. 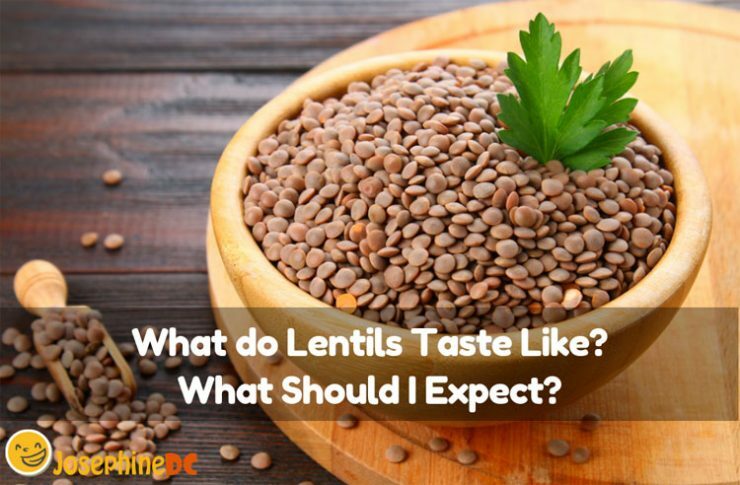 Lentil can give you a high level of protein, but you do not need to worry. With lentil protein, there is no risk in increasing your cholesterol level. No wonder this is an outstanding substitute for meat. Lentils are low in saturated fats and cholesterol than poultry, beef, and pork. A cup of cooked lentils also gives you 400 micrograms of folate that is equivalent to 90% of daily requirement of this vitamin. Folate, or in another term, Vitamin B-9, enhances metabolic energy rate, building new cells for our body, and a strong immune system. You can also find Iron in lentils. It is vital in producing red blood cells and is perfect for people suffering from anemia, neurological conditions, and other iron deficiency problems. Among the benefits, I stated above, there is still a lot that lentils can give. It provides manganese, phosphorus, and magnesium. These are just a few of the numerous health advantages that we might not know and is missing. You have made up your mind to start including lentils in your diet. Learning the benefits is an encouragement for healthy living. Familiarizing yourself with how it looks is a piece of cake anyway. However, do you know how to store them? There is less to worry when it comes to storing legumes. I guess the reason why this is common stock in the pantry for a long time ago is that lentils have an indefinite shelf life. You may find some lightening of the colors in time, but the flavor will still be the same. I advise though to keep your lentil seeds in a tight container and store it in a cool, dry place. You can keep dried lentils in storage for a year right after your purchase. However, place your cooked lentils in the fridge for a maximum of one week before consumption. Take note to store them in an airtight container to prevent moisture from coming in. Freeze them if you want to let it last for six (6) months or so. Honestly, the bright side is lentils are the best when it comes to nutrition, but I find it hard to say that it is delicious. It may be because I am still in the phase of getting friendly with the veggies or it is just not so. I hope you agree with me. Nevertheless, you have to believe me that I found ways to make it taste better. 1. Use broth instead of plain water. Yeah, use your favorite broth as an alternative of plain water to enhance the taste of your lentil soup. 2. Try to add more veggies. Mixing another kind of veggies will give a wonderful and colorful blend. Do a cooking adventure and discover the kind of veggies you want to mix with lentil. 3. What about fresh herbs? Herbs have this ability to boost the flavor of your dish. If lentil alone seems boring, add on some herbs to give an extra kick. 4. Try other methods of cooking. The good old boiled lentils are great. However, for a change, do you know that it is yummier by frying them and mixing them to casseroles? Think for more ways on how to cook your lentil and discover delicious possibilities! There is no doubt that lentils are healthy for our diet. It helps our body in so many ways. I believe that when it comes to taste, people are unique. My sweet may not be the same as you. Hence, what do lentils taste like? I encourage you to find out yourself. Who knows, you might come up with a different way to describe it. There is no reason why you should not start eating lentil by now. Try considering my tips on how to make it more delicious and keep in mind the health benefits it provides. I am sure you will like it!